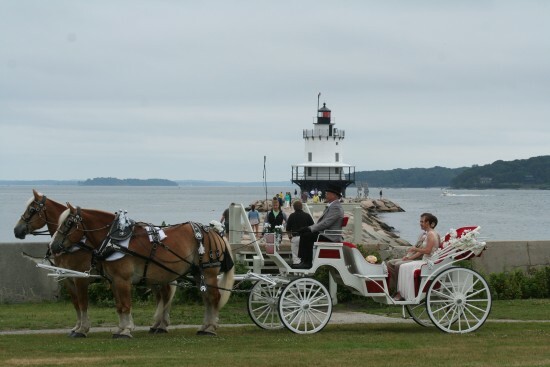 Meadow Creek Farm of Maine offers horse drawn wagon rides through out the year. Bill and Ben are belgains weighing at 2000 lb each. When fully dressed, the harness is shinny clean with spots of stain less steel and they are wearing bells of many sounds, plus decorated with flowers and ribbons to fit the occasion. During the winter months when there is snow on the ground, they can be seen pulling a bright red sleigh, the sleigh holds up to 5 people at a time to make it more personal. 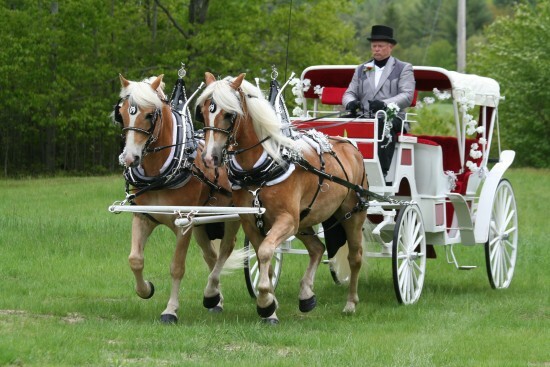 (Now) we have a pure white wedding carriage with red velvet interior, used only for weddings and other special occasions. 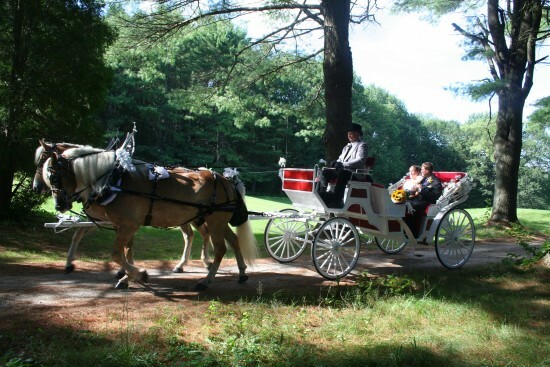 Let our professionalism and the elegance of our horses make your dream come true.